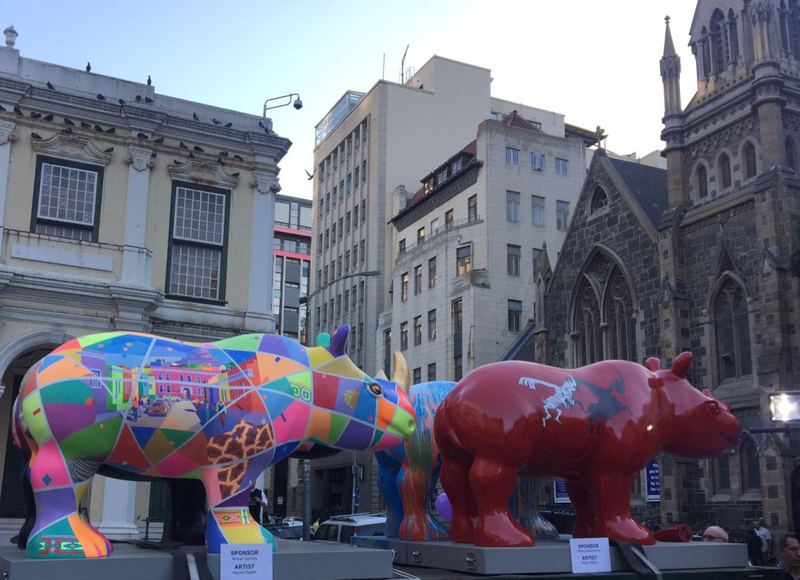 As part of the ‘The Rhinos Are Coming’ outdoor exhibition, aimed at fund-raising for rhino protection and anti-poaching initiatives, The Grand Daddy collaborated with acclaimed Capetonian artist, Nasser Zadeh, to create one of 12 life-size rhino art pieces. 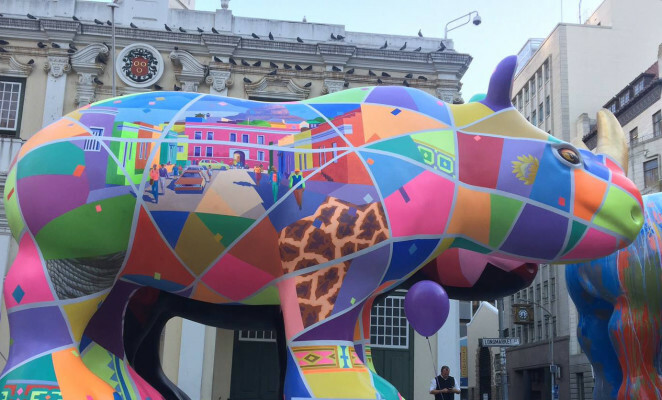 Our rhino depicts scenes from all over Cape Town, specifically The Bokaap, as well as our country’s wildlife, culture, and identity. 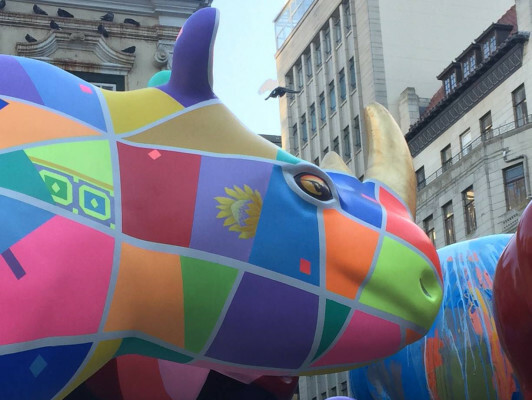 Coated in African flavour and flair, the rhino is proudly bearing his golden horn, however, in stark contrast to this vibrancy, the reflection in the rhino’s eye shows the sobering reality of a silhouetted poacher. Having been exhibited all over Cape Town, our rhino will be checking in to The Grand Daddy Boutique Hotel as a permanent guest in the next few weeks. We look forward to encouraging everyone to come and visit him, appreciate his beauty, the artwork, and the cause, in the near future. Of course, the question remains…where on earth would you put a life-size Rhinoceros at a hotel? Well, you’ll just have to wait and see what we have planned!